Karan Aujla- The Punjabi Sensation in every town ! 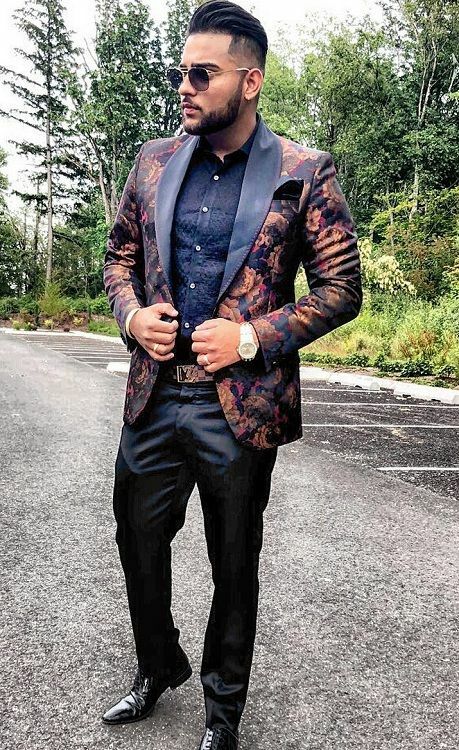 Karan Aujla is a name that has taken the Punjabi entertainment industry by storm. In the last couple of years through his distinctive dose of music, Karan has managed to make a special place for himself in the industry. Be it his Alcohol 2 or Up & Down, each of his songs has been amongst the most searched tracks on music platforms including YouTube. This handsome hunk with a swag started writing at a very young age. And what brought him to writing was an incident which shook him to the core. When Karan was in his class 9th, his father and mother passed away. Destiny had cruelly snatched away what was most precious to him and this incident left him shattered. He was then taken care of by his sister and his uncle. It was around that time that pen and paper became his companions. He started expressing his feelings on paper and these strings of words started developing into songs. Henceforth, Karan’s writing corner started taking off and a meeting with a budding singer then turned the course of his life entirely. In one of his friend’s wedding, he performed a song he had written and his song impressed a budding singer who was present in the crowd. That singer walked up to Karan and expressed his desire to lend his voice to that song. Karan gladly agreed to the offer from that singer and you would be surprised to know that the singer was none other than Jassi Gill and the song was Range. This one instance added wings to Karan’s dream. His dream took him to Canada where he stayed alongside his friends like Deep Jandu, who nurtured his talent of writing and also gave him the confidence to try his luck in singing. Thus, Karan went ahead with both singing and writing. In the process, he released his first single in 2016 ‘Property of Punjab’. The song did well and Property of Punjab was followed by ‘Weed’, ‘Dark Circle’ and ‘Alcohol’ and the most recent one ‘Don’t Look’. As a tribute to his parents, Karan has got pictures and the name of his parents engraved on his arms and chest, who were dearer to him more than everything in the world. We wish this singer and songwriter much success in the future as well!